Mummification was an intrinsic part of Egyptian culture. 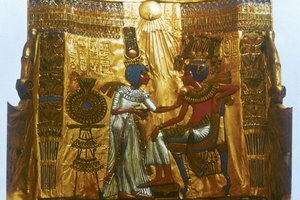 A common tenet of the religious beliefs of ancient Egyptian people throughout their civilization is a strong emphasis on the afterlife, and preparing the earthly remains of the deceased for that new existence. Basic methods for mummification were in practice before the reign of the first pharaoh, and developed in sophistication through the course of the New Kingdom era. 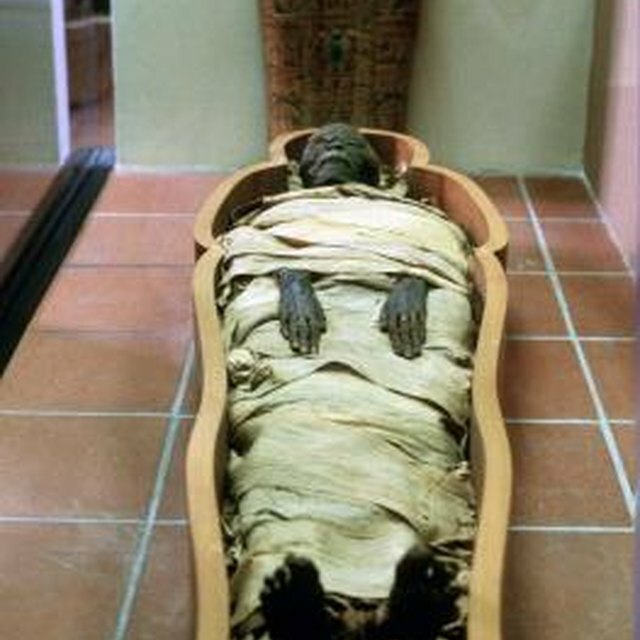 Mummification developed before the pharaohs. Prehistoric Egyptians buried their dead directly into the desert, relying on the sand and hot climate to perform a natural sort of mummification. In the latter parts of the Predynastic Period, before the time of the pharaohs, the Egyptians augmented their burial practices by including coffins and mastabas -- aboveground tombs for the wealthy made from mud brick -- to their burial preparations. The incorporation of these advancements led to more rapid decay of the entombed, which spurred the ancient Egyptians to develop better mummification techniques. Mummification methods developed over several dynasties. Pharaoh mummification took place during the Early Dynastic and Old Kingdom eras. The earliest known mummification attempt was discovered in the tomb of King Djer of the First Dynasty, where archaeologists found an arm wrapped in layers of bandages. Precursory methods to the more sophisticated embalming process included wrapping the body in linen, the use of salt or natron (a naturally occurring desiccation agent) to dry the remains, or covering the body in plaster or resin to preserve the overall shape and features of the interred. Embalming was a sophisticated process. 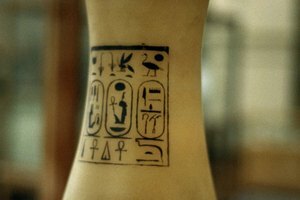 Progression toward more sophisticated embalming techniques began in the Fourth Dynasty. Ancient Egyptian embalmers completely removed the lungs, intestines and other organs (excepting the heart), then packed the inside of the body cavity with natron to aid the drying process. The brain was also removed through the nose via a thin metal tool and discarded. 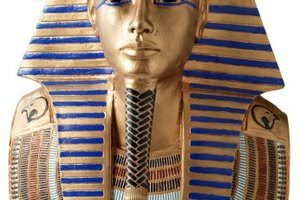 The embalming process was prohibitively expensive, and usually reserved for Egyptian royalty, although the wealthy and government officials were sometimes mummified as well. Historians understand much of ancient Egypt through recovered mummies. Recovered pharaohs that have endured throughout the centuries provide researchers with significant insight into ancient Egyptian culture. For example, analysis of the famously well preserved remains of the child King Tutankhamen has shone that he was afflicted with malaria and a foot deformity. X-rays of the anonymous "PUM II" mummy from the Ptolemaic Period uncovered bone abnormalities and estimated the king's age at 35 to 40 years. Australian Museum: How Were Ancient Egyptians Mummified? 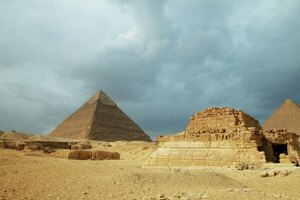 What Was the First Type of Pyramid in Ancient Egypt? Sanders, DaVaun. "When Did People in Ancient Egypt Start Mummifying Pharaohs?" 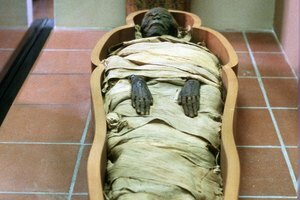 Synonym, https://classroom.synonym.com/did-people-ancient-egypt-start-mummifying-pharaohs-10470.html. Accessed 24 April 2019.